Hello, everyone. I'm danminer, a total noob. 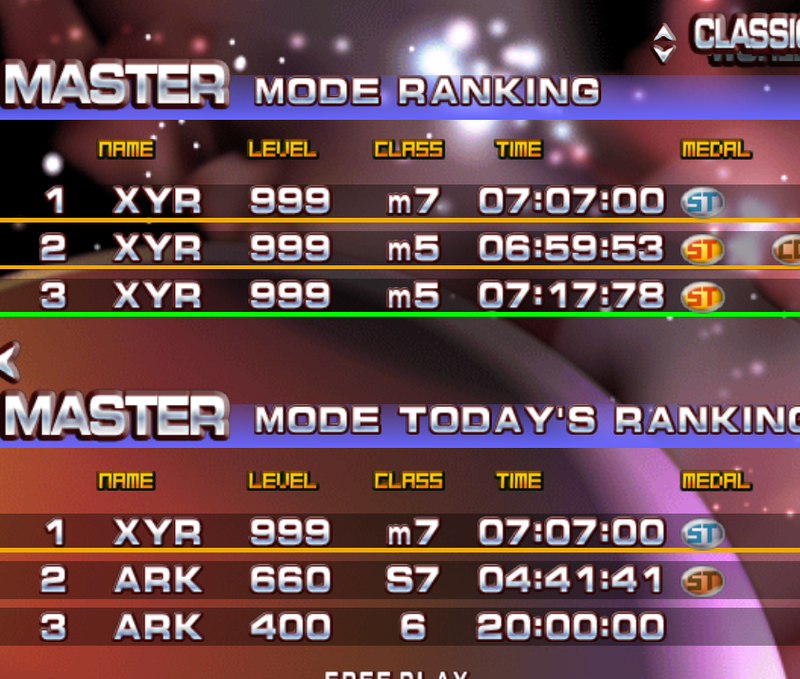 Best game I've had was grade 4, and my current grade in Master Mode is 7. I play on Classic, I know the basics of IHS and IRS. I've heard something about T-Spins. Do I need to learn to perform them? Are there any general tips to help me improve? I appreciate any advice you Tetris veterans might have. P.S. I have to attend school, so I play NES Tetris on breaks, just to stay in shape. And I'm sorry for my awful grammar, lack of vocabulary, and any other mistakes you might see. I just don't have a lot of opportunities to practice my English. TL; DR: Saw KevinDDR's amazing performance, sat down and played a hundred games of Tetris in TGM3. Came here to ask for advice. 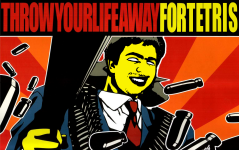 Plenty of threads on all of the basic strategies around here, and some very good guides around the internet in general. That last one can be a bit unintuitive, but realising it exists can really come in handy. Of course, if your question was simply if setting up T-spins was important for scoring, then no. TGM3 does not award T-spins. It recognises them, but they don't mean anything. Thank you. I've read Kitaru's guide on TGM, but I found it difficult to understand because there were many terms I didn't know the meaning of. What is an overhang? How can you possibly survive in 20G? What is pyramid stacking and how do you use it? "Pyramid stacking" is just a slang term based on the general shape of the Tetris stack when you're stacking to survive in 20g, since you want to allow freedom of movement to both the left and right of where the pieces spawn. That is done by creating a somewhat downward sloping surface, preferably starting from the fifth column - The guide pretty much explains all of that! You also want to hold the rotation button before the next piece spawns, so it comes out already rotated. This is called IRS, and also explained in the guide. Yes, I should've guessed. I've read about the basics of IRS, but I don't use it much. Then again, I didn't get past level 300 yet. It's probably essential to surviving in 20G. Does it matter if I play using a keyboard and not an arcade stick? How long did it take you to get to your grade? Sorry to bother you with questions you've seen many times. Thanks in advance. BTW: Do you plan to also play the other games in the TGM series? Wow. And I was wondering if arcade sticks were superior in some way. Guess it's a matter of taste. I don't think there will ever be a meetup in our country - Tetris isn't played much in Russia, as ironic as it might sound. Besides, I live in a small town, so there aren't as many players as in Moscow or St.Petersburg. I haven't considered playing other TGM games. Should I? And if I should, why? Joystick vs keyboard is definitely a question of preference, though there are many people who are comfortable with both. Personally, I have no clue how on earth people are able to play on keyboard, but if it feels comfortable to you, there's no reason not to. But I do think TGM feels very good with a joystick, the sonic drop is definitely designed with it in mind. If you do decide to switch control setup some time in the future after becoming more experienced and handling fast speeds well, you will probably need to relearn a lot of movement tech. How long did it take you to get to your grade? Be prepared to practice for years. I haven't considered playing other TGM games. Should I? And if I should, why? Again, preference. Personally I don't like TGM3 at all due to the multiple piece previews and hold button. It changes the game in ways I'm not personally fond of. TGM1 is mostly redundant compared to TGM2, but does have a few minor differences that makes it worth spending time with. Most notably it is obviously easier, never going as fast as the later entries, and the grading is much more lenient. 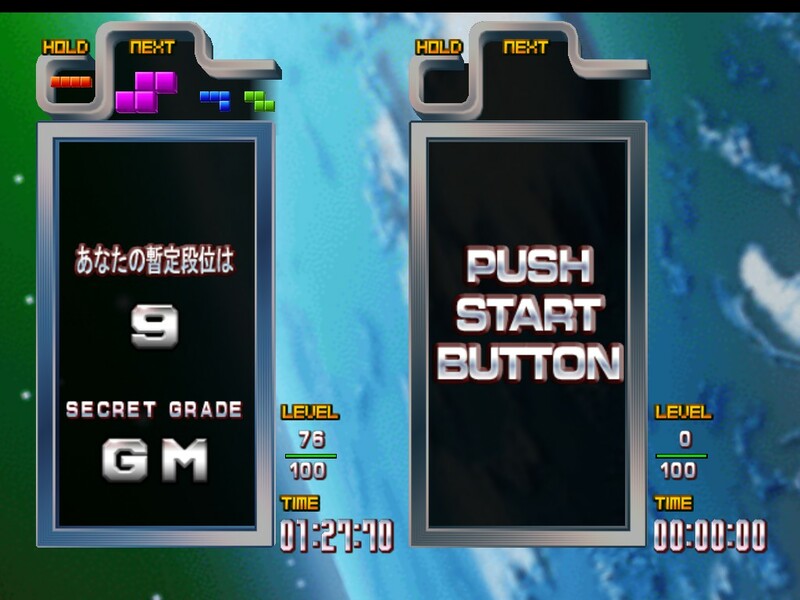 So getting a GM grade in TGM1 could easily be one of your first milestones. Thanks. I think I'll stick with TGM3 for now, I'm aiming to get S1 in the near future, and it'll probably take a couple of months. With all the tips you've given me, it's definitely possible. Maybe I'll even try playing on my old gamepad, and see how that works out. Unfortunately, it's nearly impossible to find an arcade stick in my town. I'll update the thread when I reach 500 total games played, so be prepared for more questions. Honestly, I didn't expect the Tetris community to be so responsive, but it seems that there are a lot of nice people here. See you after another 400 games. In addition to this, TGM3 has added floor kicks on the T and I pieces (as well as wall kicks on the I piece) that are not present in earlier TGM games. This can lead to developing stacking habits in TGM3 that are sub-optimal in TGM1 or TGM2+ causing frustration when you can't rotate an I piece into a tetris well. This is one of the reasons I (and many others here, though not everyone) recommend avoiding TGM3 before getting comfortable wtih TGM1 and/or TGM2+. So much this! I spent about a year and a half in TGM1 and TGM2+ before touching TI, getting a GM in the first game and an orange S9 in the second, a 500 in death. I'm not terrible (definitely not good though), but when I played TI for a few weeks, I was making all kinds of I and T piece mistakes when going back to TGM2+. Only after a week of grinding death am I almost completely free of the bad habits I've formed. I definitely recommend playing some TGM1 to get comfortable with the rotation system and all that fun stuff, as it only gets so fast, eventually you'll find it slow. It's also good to start playing 20G on because it doesn't get faster, only the gravity is changed, not the lock delay and ARE and all those other fun parameters which make the next two games so fast. Betelgeuse and mycophobia like this. It took me about nine months to get TGM1 Gm, then a few months after that to get S9 in TAP Master if I remember correctly; this was on keyboard. Then I switched to stick and that took me a few months to adjust, but I found my times improving greatly once I did. I read and re-read the wiki pages and that TGM guide on Kitaru's site obsessively during my first year or so of play, who knows whether this helped substantially or not. I also watched TGM videos all the time. Damn, you M'ed and GM'ed Death before Master? When did you M Master? There seems to be a huge displacement between people's ability to conquer the invisible roll (see Amnesia vs. Kitaru), so I'd say the TAP Master M says more about your overall progress than the GM. Damn, you M'ed and GM'ed Death before Master? Most players do, it's much easier than Master. The only two requirements are: beat the torikan at 3:25, and survive 499 levels of 500 speed. Easier than the conditions for Master Gm.